DD Mau Bánh Mì Vietnamese sandwich shop grand opening in Yaletown on April 6, 2012. 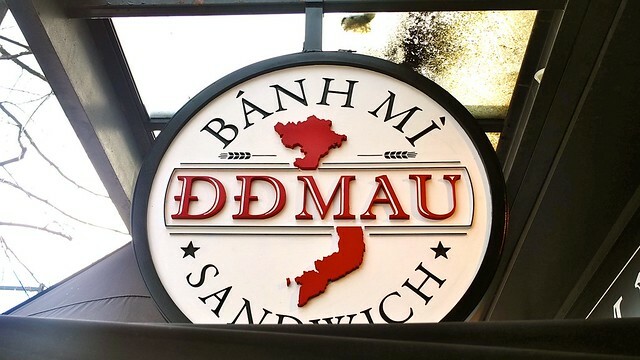 A few weeks ago, I met one of the proprietors of the then to be opened Vietnamese sandwich (aka "bánh mì") shop called DD Mau ("go faster" in Vietnamese). She talked up her new Yaletown eatery. At the Good Friday grand opening, they offered free samples of their sandwiches, spring rolls, drinks, and beer, pumping tunes out onto the streets of Yaletown. 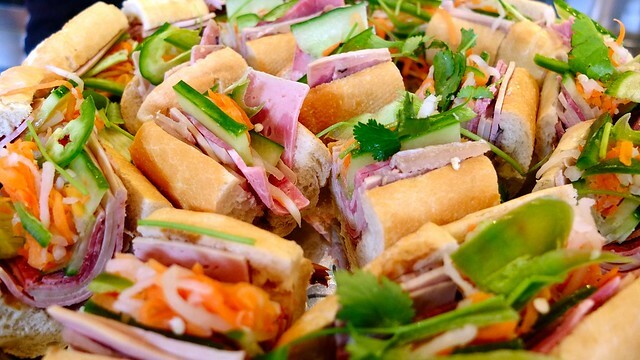 There were a variety of traditional and new bánh mì style sandwiches including barbecue roasted duck, crispy pork, honey garlic beef, grilled lemongrass chicken and tofu. 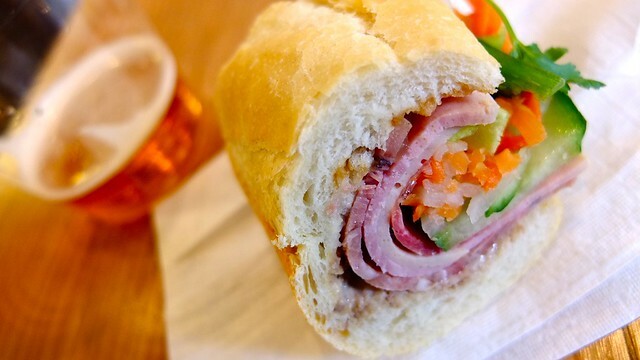 The classic cold cuts and deli meat standards were pretty meaty and full. 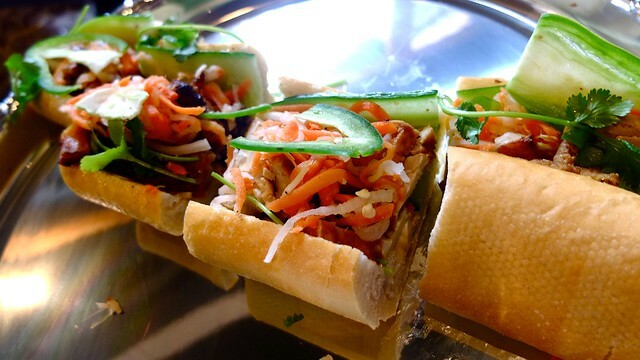 I was impressed by the lemongrass chicken subs as well. They also had samples of avocado smoothies, quite delicious. The lime fizz soda was quite refreshing too. 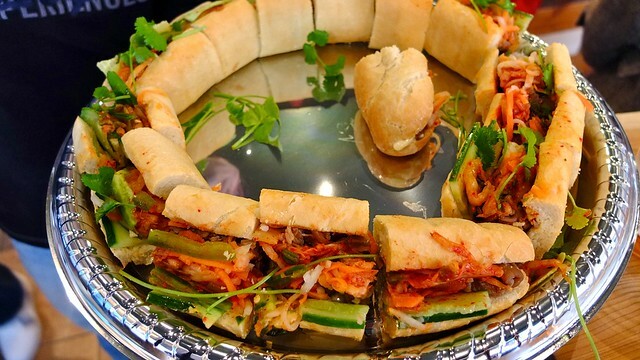 There were special kimchi style chicken sandwiches. I was surprised how tasty this Korean-Vietnamese Asian fusion was. The shop will have daily specials and customizable concoctions. 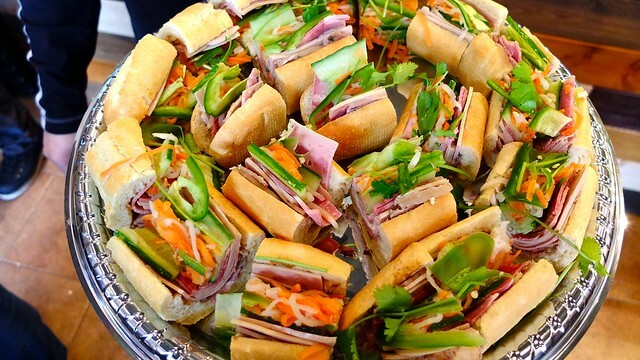 These aren't your East Van bánh mì sandwiches. They offer an extra east meets west twist without bastardizing anything too much particularly. 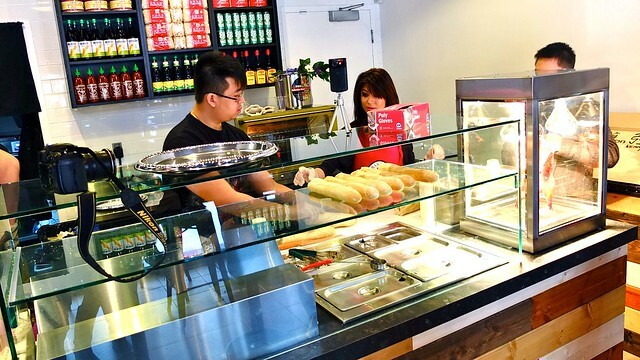 This eatery should attract attention as it stands out in its Yaletown neighbourhood.